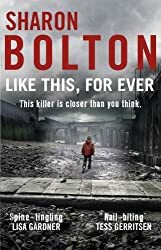 Now I’m reading Like This For Ever by Sharon Bolton (the third Lacey Flint book) and it’s good! Twelve-year-old Barney Roberts is obsessed with a series of murders. He knows the victims are all boys, just like him. He knows the bodies were found on river banks. And he’s sure the killer will strike again soon. But there’s something else, a secret he’d rather not know, a secret he is too scared to share . . .
And who would believe a twelve-year-old boy anyway? After a bit of a false start I am now well into this book. Carpenter Adam Bede is in love with the beautiful Hetty Sorrel, but unknown to him, he has a rival, in the local squire’s son Arthur Donnithorne. Hetty is soon attracted by Arthur’s seductive charm and they begin to meet in secret. The relationship is to have tragic consequences that reach far beyond the couple themselves, touching not just Adam Bede, but many others, not least, pious Methodist Preacher Dinah Morris. A tale of seduction, betrayal, love and deception, the plot of Adam Bede has the quality of an English folk song. Within the setting of Hayslope, a small, rural community, Eliot brilliantly creates a sense of earthy reality, making the landscape itself as vital a presence in the novel as that of her characters themselves. 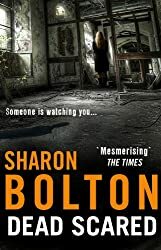 Then – I read Dead Scared by Sharon Bolton (the second in the Lacey Flint series) and it was excellent! The Buried Giant begins as a couple, Axl and Beatrice, set off across a troubled land of mist and rain in the hope of finding a son they have not seen for years. They expect to face many hazards – some strange and other-worldly – but they cannot yet foresee how their journey will reveal to them dark and forgotten corners of their love for one another. 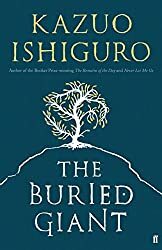 The Buried Giant does what important books do: It remains in the mind long after it has been read, refusing to leave, forcing one to turn it over and over … Ishiguro is not afraid to tackle huge, personal themes, nor to use myths, history and the fantastic as the tools to do it. Thanks for visiting and leaving your link! The day before yesterday I ordered the first of the Lacey Flint series after several friends just raved about it. Had the feeling that until then I’d never heard about it and now it’s everywhere! Your friends are right – the Lacey Flint books are great. I’m always so impressed, Margaret, with the variety of books that you read. I’m pleased (and not surprised, if I’m being honest) that you enjoyed the Bolton. I think she’s very talented, and I hope you’re enjoying the other one. Thanks, Margot – I do like variety! I’ve now finished Like This, For Ever and I think it’s even better than Dead Scared! I think I’ll have to add The Buried Giant to my TBR. Ishiguro is such a wonderful writer. 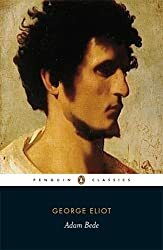 I haven’t read Adam Bede since I was at university, but I remember I enjoyed it. I hope you do too. I’m enjoying Adam Bede more now I’ve got more into the book. It’s a much slower read than the crime fiction I’ve been reading recently, so I have to adjust myself to its pace. I’ve now started The Buried Giant and it’s good so far! Me too, Cleo! The Ishiguro is looking good so far – I’ve the opening chapters. I have a signed copy of The Burried Giant on my shelf. I hope you boy it! Happy reading! I don’t think Kazuo Ishiguro could ever write something I wouldn’t love. I still remember all the things I felt years ago reading The Remains of the Day. I loved The Remains of the Day too – it’s one of my favourite books.